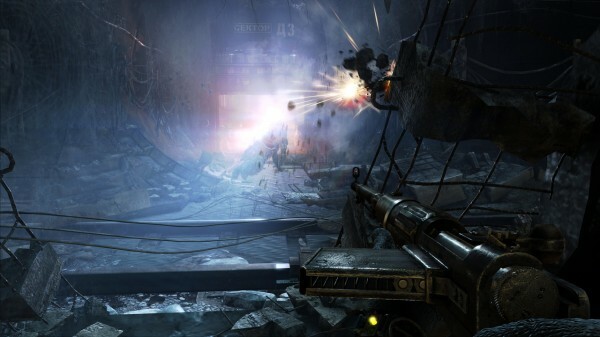 The newest answer set on Metro: Last Light has been posted on the Last Light Forums. This time the questions were on topics such as weapons, exploding barrels and the length of the single player campaign. We expect the campaign to be at least as long as Metro 2033, and we’re also working hard to ensure there are more reasons to replay the campaign … although we know a lot of you have played and re-played the 2033 campaign multiple times already! We’re adding some weapon customization options and we’ll be talking about this feature in more detail later in the year. One of our design goals has been to avoid FPS clichés … so no, you will not find exploding barrels on the game. We do have many destructible objects, and in very specific instances some of these can cause damage to a wider area, but these are used judiciously and are appropriate to the environment.